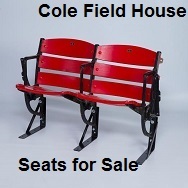 Candlestick Park Seat Stabilizing Brackets, Stands and Feet. 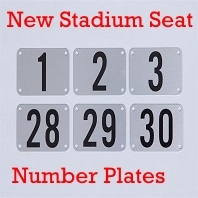 Stadium Seat Depot has for sale original replacement Stadium Seat Number Plates from Candlestick Park. 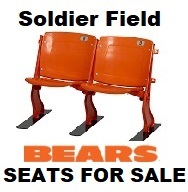 Set of 3 Seat Feet™ Steel Riser Mounting Brackets - for Candlestick Park Stadium Seats home of the San Francisco 49ers and Giants. 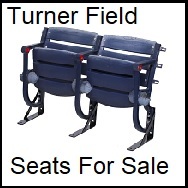 Set of 3 Rockin'Seat Feet™ - Steel Riser Mounting Brackets - for Candlestick Park Stadium Seats, home of the San Francisco Giants and 49ers. 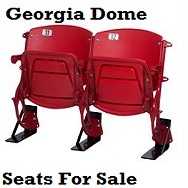 Set of 3 Seat Feet™ / L-Bracket Combo's - Steel Riser Mounting Brackets - for Candlestick Park Stadium Seats home of the San Francisco 49ers and Giants. 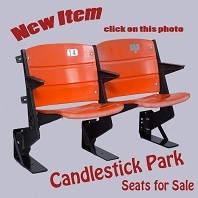 Set of 3 Rockin'Seat Feet™ / L-Bracket Combo's - Steel Riser Mounting Brackets- for Candlestick Park Stadium Seats, home of the San Francisco Giants and 49ers. We have San Francisco 49ers Koozies available for sale to help keep your beverages cold on game day. 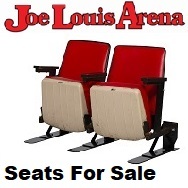 Sets of 3 Seat Feet™ Steel Floor Mounting Brackets - for Candlestick Park (double leg) style floor mounting seats. 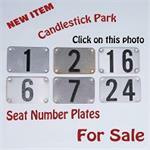 Baseball Stadium Identification Plates identify the Stadium, the years and the location. They attach right to the Seat Feet™.